So with Valentine’s Day is right around the corner and floral shops are getting ready to cash in while restaurants are overflowing with reservations. But how nice would it be to make your own centerpieces and prepare a sumptuous dinner for you and your special someone, right at home? 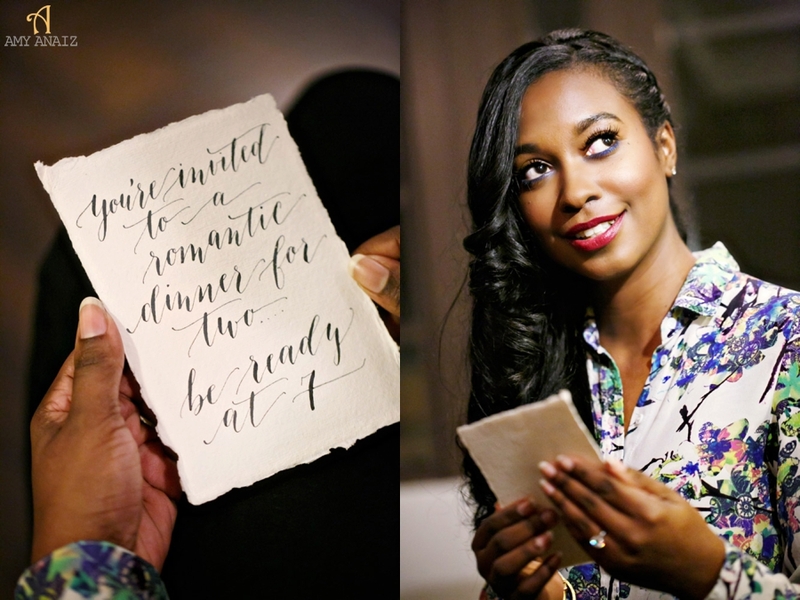 In a 5 part video series entitled, “PulledTogether”, I teamed up with some of the best industry professionals to show you how to you can “PullTogether” a special valentines day for your honey. 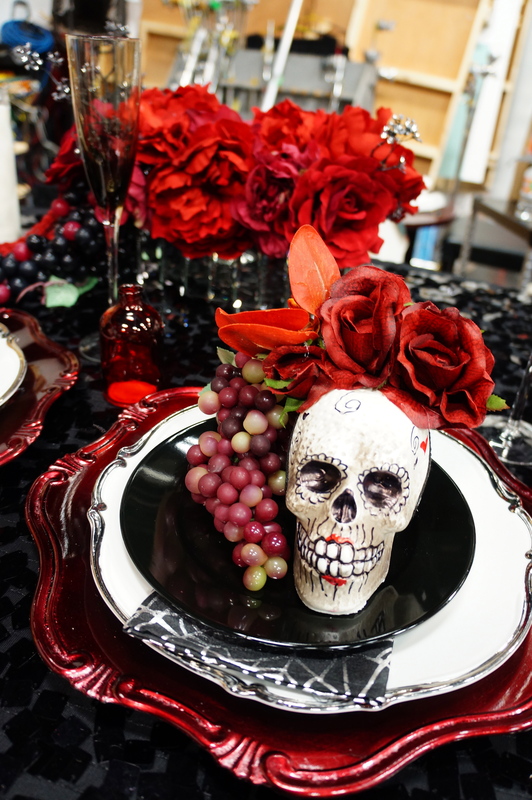 Up first is how to make a simple centerpiece by Emily Howard of Phileanor. After apprenticing with two of the top floral designers in NYC , falling completely and madly in love with flowers and freelancing for nearly two years (in that order), I started Phileanor as an outlet for my own creative expression. I felt that I had something different to offer than those I was learning from and working for simply because I possess a unique set of experiences that inform my way of looking at the world, which would in turn make my creations uniquely mine. I am still defining my voice, but it’s been an incredibly rewarding process so far and I am excited for what the future holds in that regard.Going into this project, the only goal I had for my piece of it was that the flowers look good together. I work best with clients that are somewhat flexible in their expectations and who trust that I’ll go the extra mile to make sure they get stunning work. 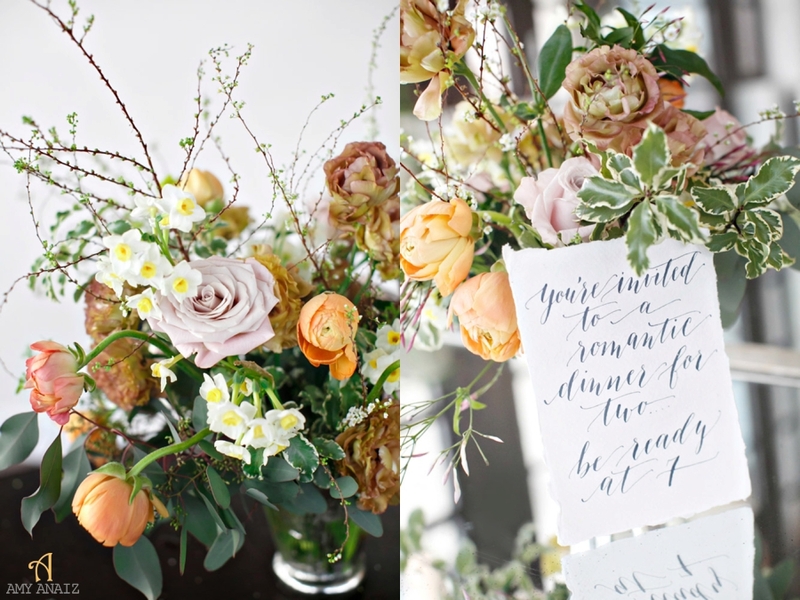 Luckily, the vendors involved in this project were like my dream clients in that they gave me the freedom to select a palette and flower combination that would really have some synergy. Because this was a Valentine’s Day-themed shoot, I had it in my head that the floral palette should be fairly traditional – blush tones with pops of red and pink. But it was all over when I got to the flower market the day before the shoot and stumbled upon the most beautiful variegated Japanese lisianthus I had ever seen. 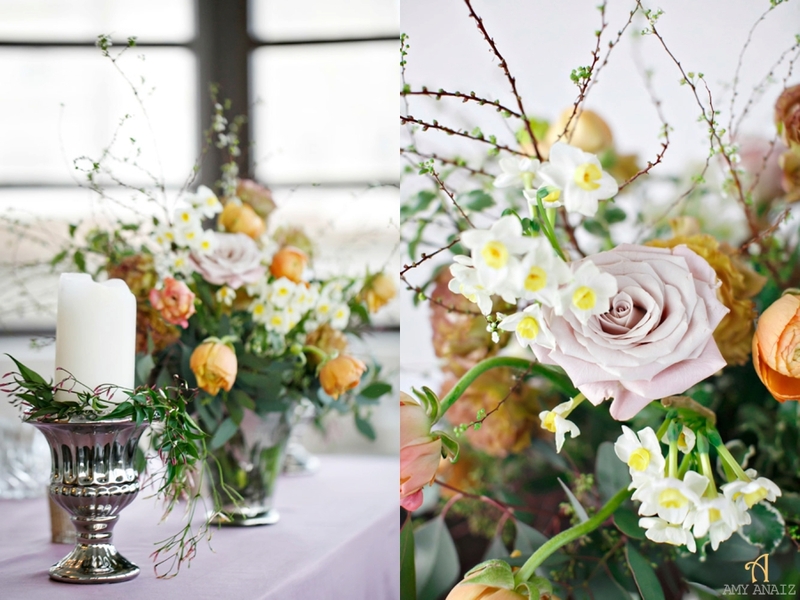 Unable to resist its delicate beauty, I created the color palette around that single flower.You don’t have to be a florist with access to the New York City flower market to create stunning flower arrangements at home. The better supermarkets, like Trader Joe’s and Whole Foods, usually carry a good variety of high quality flowers. An even better option is your local farmer’s market. If you have some masking tape, sharp scissors or clippers, and an empty vase (you can even use an old jar), you have everything you need to make an arrangement fit for a romantic dinner at home. 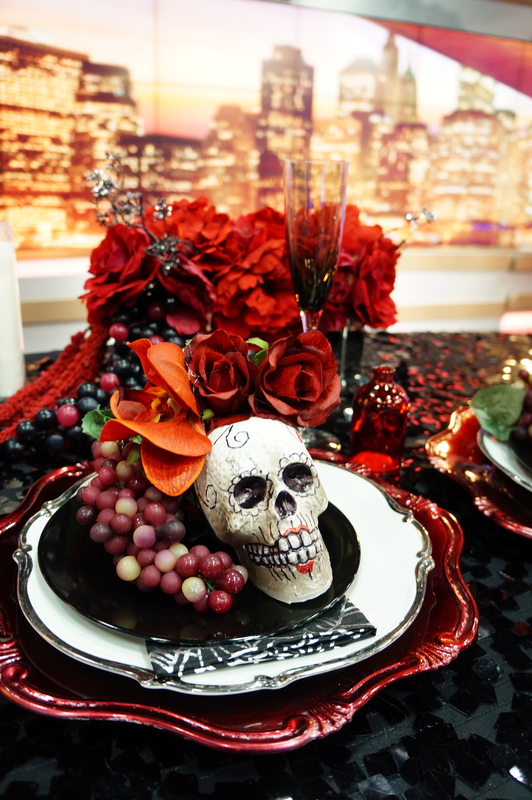 DIY Centerpiece from Mae B. Films on Vimeo. Fill vase 2/3 of the way full with water. Put four pieces of tape in the shape of a tic-tac-toe grid over the opening of your vase. Put another piece of tape around the perimeter of the vase opening to secure your grid. Start your arrangement by placing your greenery / foliage in the vase, strategically draping them over the rim as you go. The goal is to create “pockets” for the “face flowers” that you will add next. If the stems of your foliage are sturdy enough, this is the step is where you will establish the shape of your arrangement. Take care to avoid a perfectly round, dome shape. Create one that is more asymmetrical instead. Place your face flowers in the arrangement, nestling some of them down amongst the foliage and leaving some of them high. Face flowers are your bigger, showy blooms; i.e., the ones you really want to show off and make the focus of your arrangement. 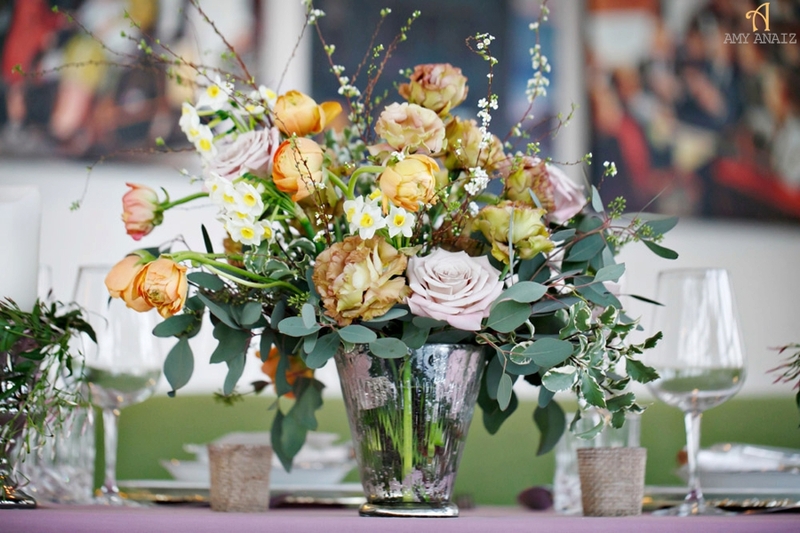 Group like-flowers in odd numbers throughout the arrangement so as to create a more natural-looking design. 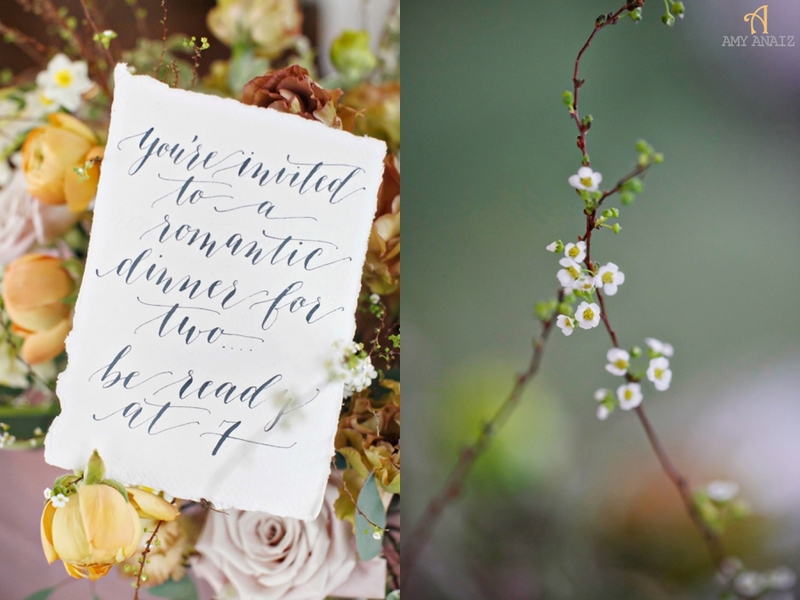 Add your wispy bits – like the paper-whites and spirea in this arrangement – last. These should hover or float above your face flowers, thereby creating movement. 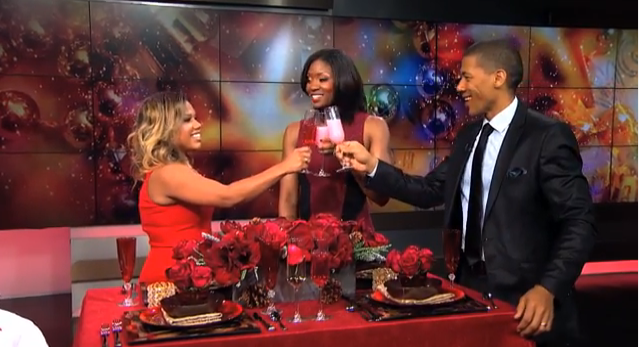 I can’t believe it’s been a full year since my first segment on Arise 360! I have the biggest appreciation for my very special friend Sheila for bringing me into this world! xo Muah! 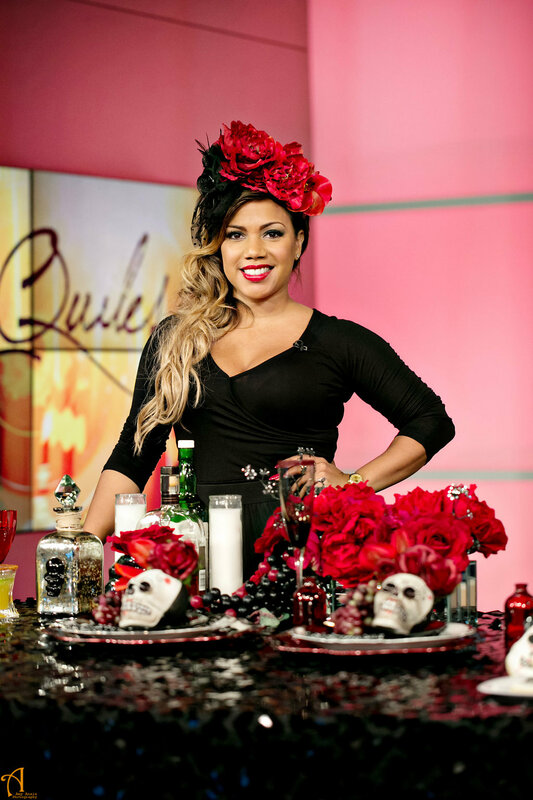 If you missed my Holiday Entertaining segment on Arise 360 here’s your’ chance to check out my tips on creating a chic and festive Holiday Soiree. Thanks to Lola, Shannon, Sheila, Eka, and the whole Arise Team for having me. Also, a very special thank you to Adonis, Raedawn and Fallon for helping me pop! on camera. It takes a village to make the magic happen. With each visit to the Arise Studios, I have seen Lola’s little baby bump grow and now it’s time to celebrate this most amazing occasion. 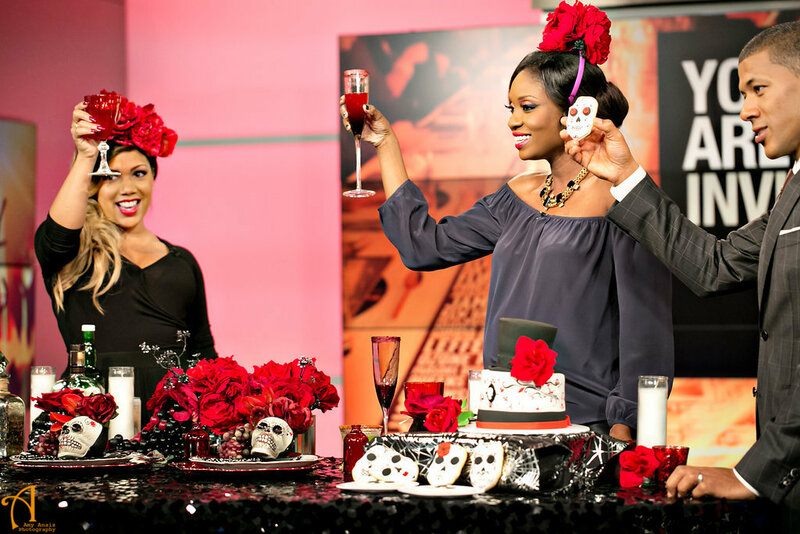 If you missed out on the LIVE airing of Arise 360 on Arise TV, you still have an opportunity to see my Baby Shower segment for the ever fabulous Lola Ogunnaike. I created a Winter Luxe theme, which is simply perfect for a gender neutral shower. Will she have a little Prince or Princess. Click on the link to see! 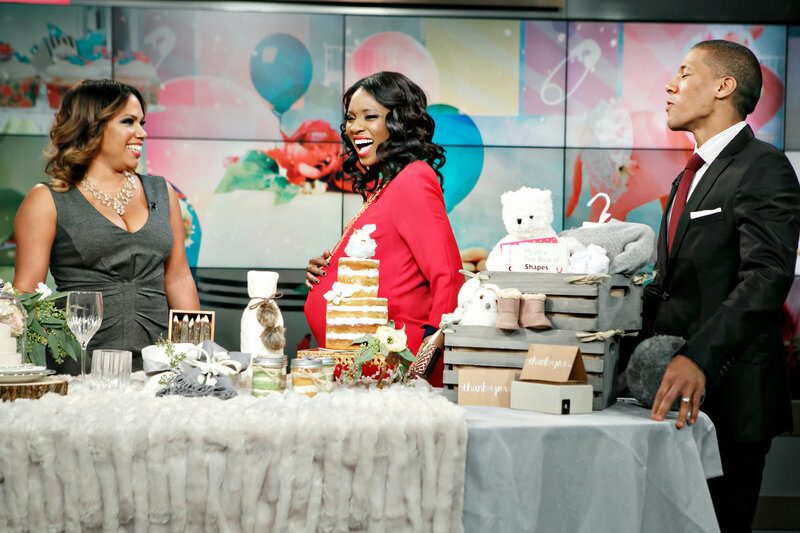 Stay tuned as I will be sharing behind the scenes shots and tips for throwing a perfect Baby Shower. Congrats to Lola on your blessing! 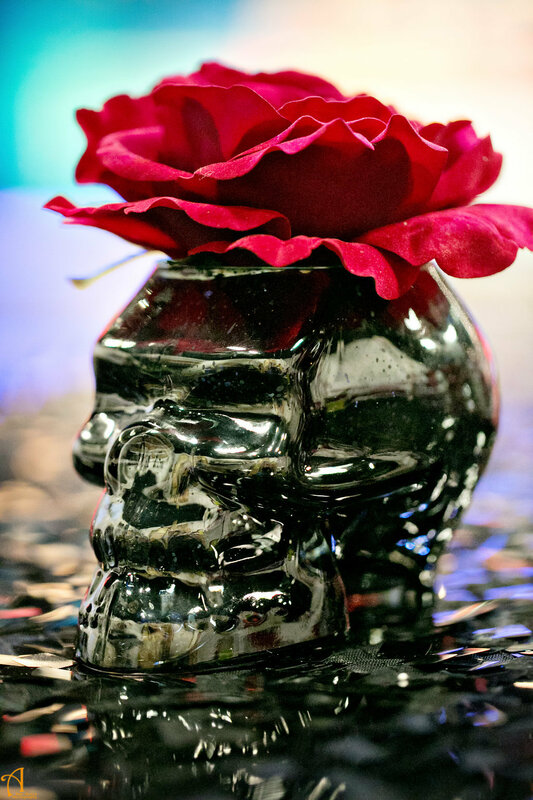 Keep the spirited celebration going with Dia De Los Muertos cocktails! Below are three alcoholic and non-alcoholic cocktails you and your friends can indulge in. Pour approx. 2 oz. of Tajin in a small plate. Enough to coat the rim of your glass. 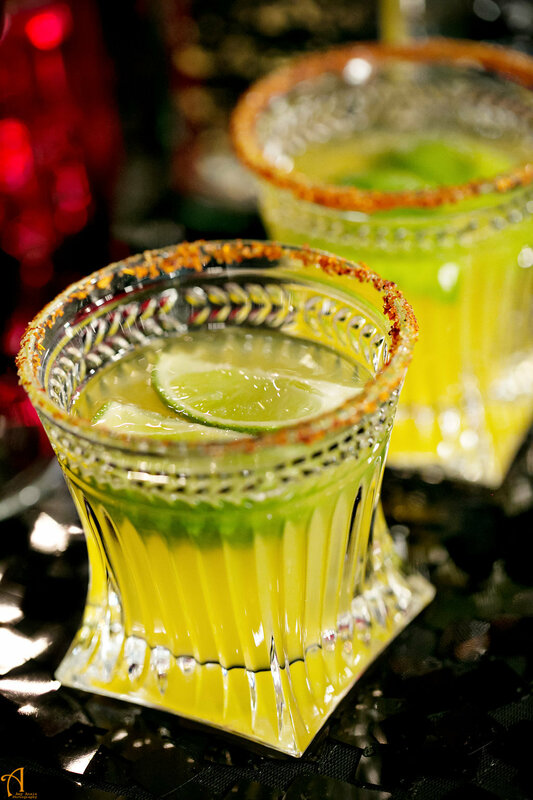 Wet the rim of a glass with a lime wedge and then dip into the plate of Tajin. Muddle the jalapeño slices and add the tequila, Cointreau, passion fruit juice, lime juice, agave nectar and ice. Shake and strain into the glass with ice. Add the Woodford Reserve, lemon juice, and honey, and fill shaker with ice. Shake untill well chilled, about 20 seconds. Strain into an ice-filled rocks glass (you may wish to double-strain through a fine strainer to remove the small pieces of ginger), and pour the Laphroaig over the back of a bar spoon so that it floats atop the drink. Halloween is typically associated with carving Jack o’ Lanterns out of pumpkins, decorating with a ghoulish theme, and going trick or treating door to door while wearing costumes. Instead of the traditional route, I wanted to introduce a holiday that many Americans are unfamiliar with, that happens to take place during the same time period. 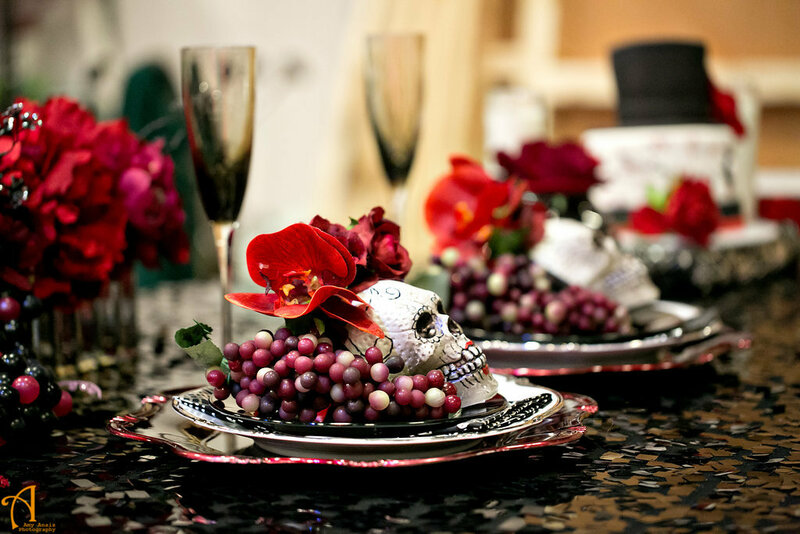 Inspired by el Dia de los Muertos below is a detailed look at my decor and ideas. 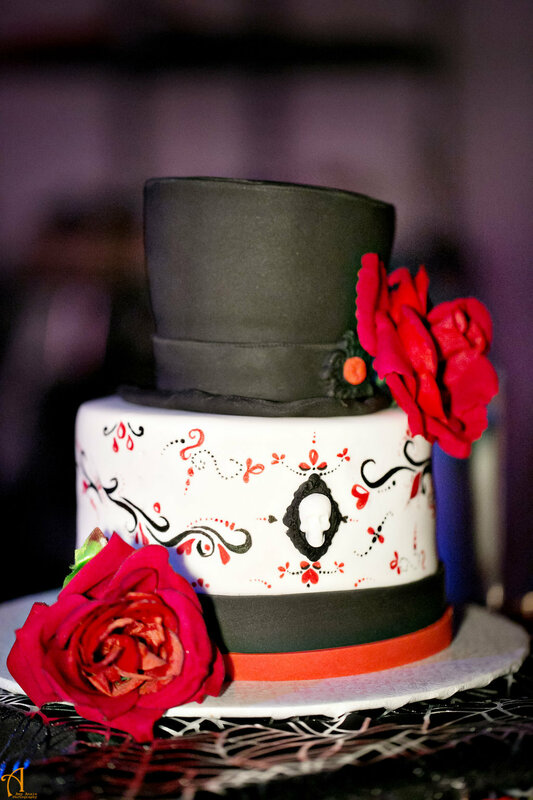 This is a nod to my Latinos as this holiday is becoming more mainstream and now more with the help of pop… more glamorous! 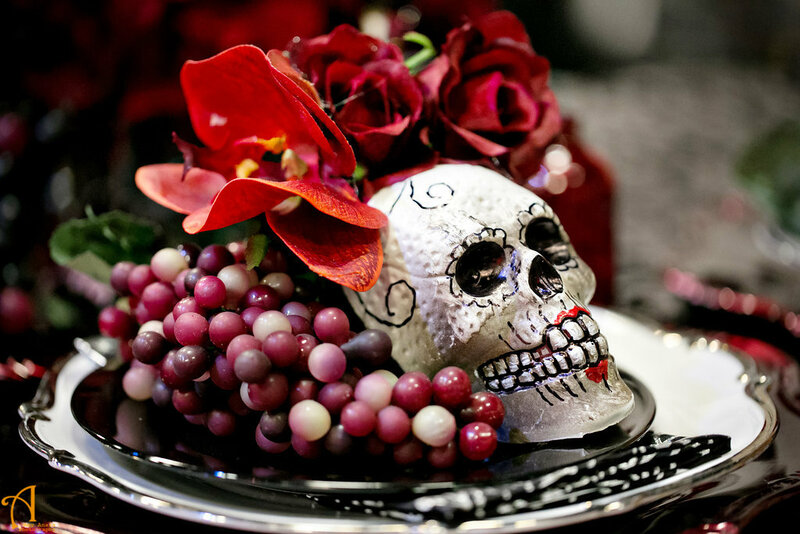 Dia de los Muertos honors the dead with festivals and lively celebrations. In order to celebrate, the families make alters and place ofrendas (offerings) of food, skulls and figures, candles, incense, yellow marigolds known as cempazuchitl (also spelled zempasuchil) and most importantly a photo of the departed soul is placed on the altar. I just love my flower crown and Lola did too! They’re super easy to make with a few faux flowers, a glue gun and and headband. In Mexico, the streets near the cemeteries are filled with decorations of papel picado, flowers, candy calaveras (skeletons and skulls), and parades. It is believed that the spirit of the dead visit their families on October 31st and leave on November 2nd. 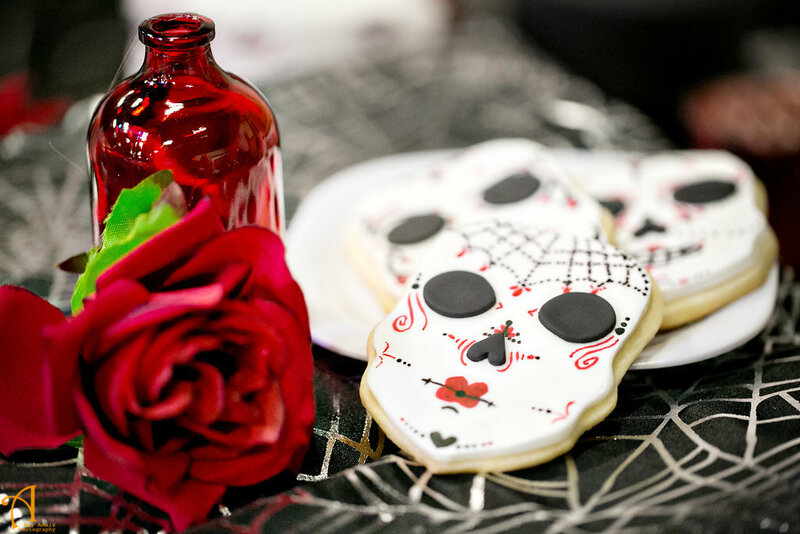 Don’t you just love these Dia de los Muertos sugar cookies? 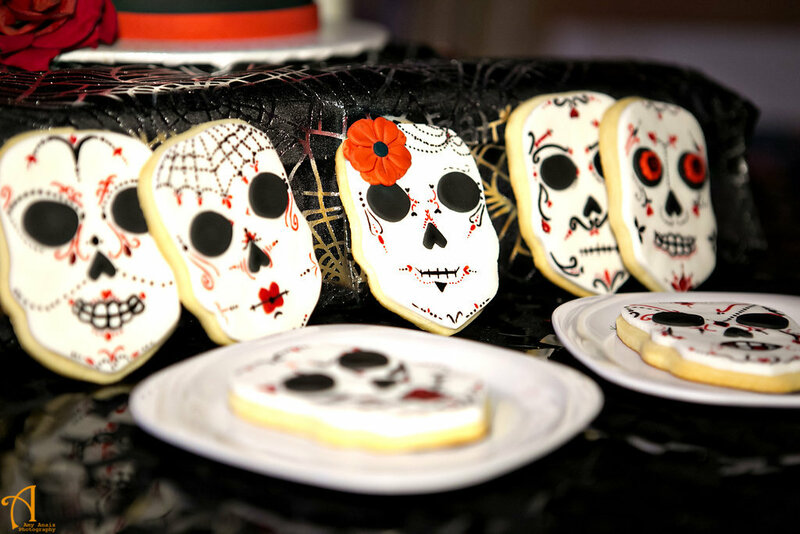 An easy substitute if you can’t make traditional sugar skulls. 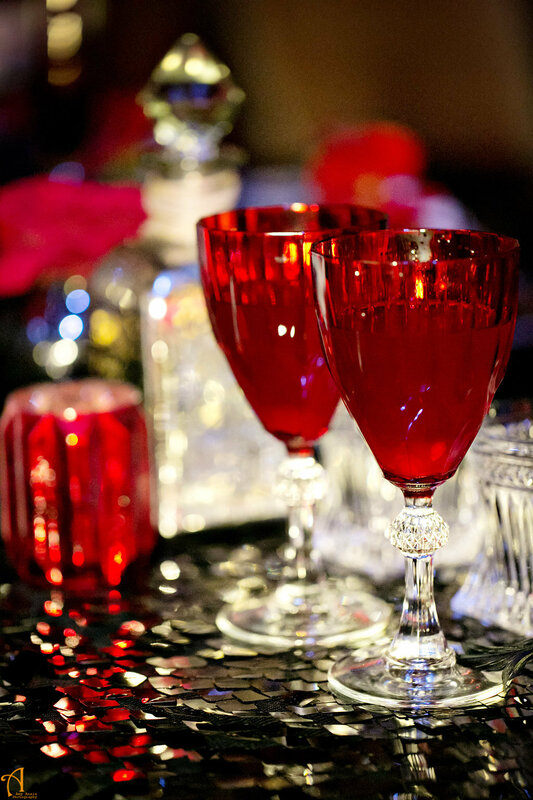 Stay tuned… cocktails will be on the next post! 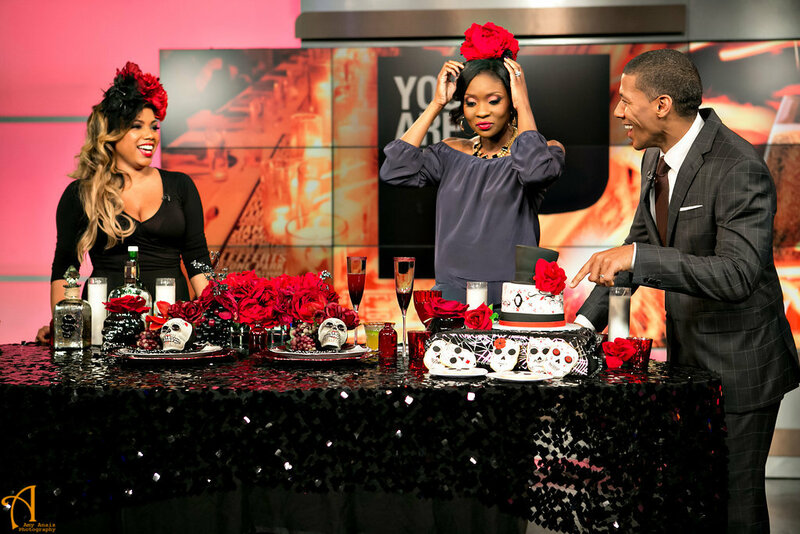 If you missed out on the LIVE airing of Arise 360 on Arise TV and the second airing on Centric, you still have an opportunity to see my Halloween Entertaining segment. 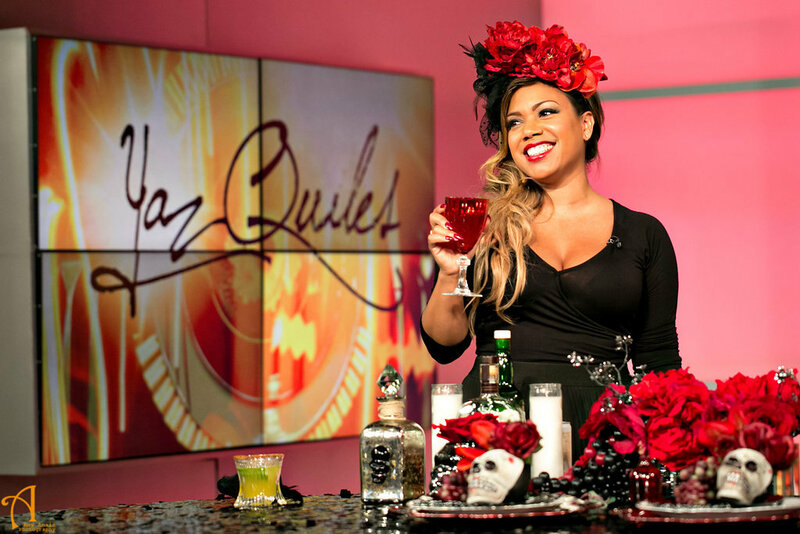 Stay tuned as I will be sharing behind the scenes shots, Halloween decorating tips and recipes for all of the delicious cocktails. 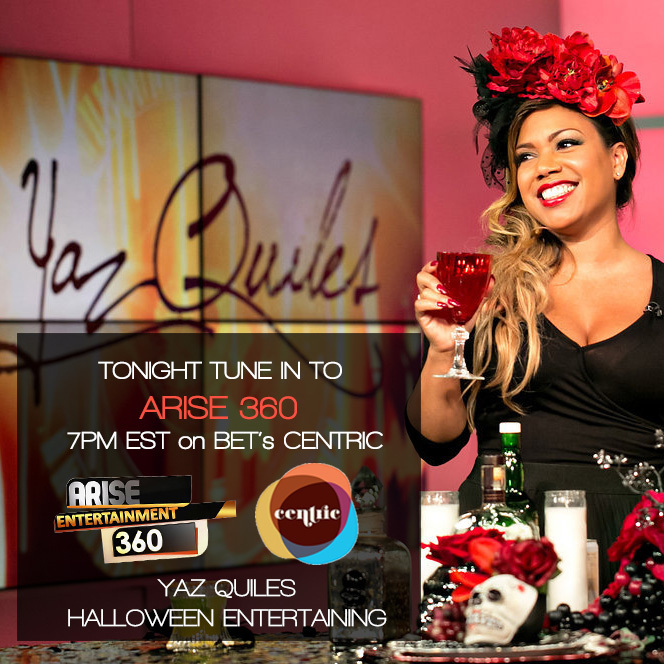 Catch me tonight on Arise 360 as I host a Halloween Entertaining segment showcasing some tantalizing cocktails and party decor that will surely liven up the spirit of your next soiree! Enter your email address to follow pop! by YAZ and receive notifications of new posts by email.